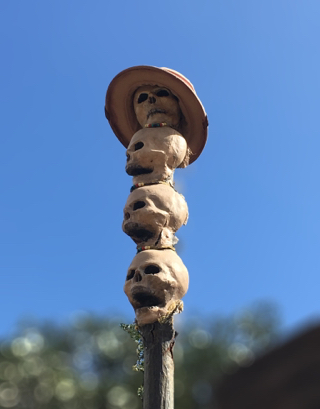 This skull totem poll is something I've walked by hundreds of times, but never really paid much attention to. While waiting for my tour guests to exit Jungle Cruise today, I took a closer look. It is another example of a fun, overlooked detail. I uses the Tadaa app to give it the SLR "depth of field" look.